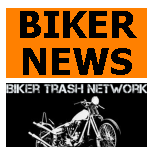 KERSHAW COUNTY, SC (June 27, 2017) — A suspected Warlocks Motorcycle Club member with a lengthy record was arrested after a high speed pursuit, according to the Kershaw County Sheriff’s Office. Jody Fogle was arrested after a high speed chase on Interstate 20, according to Sheriff Jim Matthews. Matthews had just completed a traffic stop when he said he saw a motorcycle approaching him from behind at a high rate of speed. The motorcycle was being driven by Fogle and Matthews was able to determine that the motorcycle was traveling at 101 mph. Matthews then attempted to make a stop by activating his blue lights and siren. 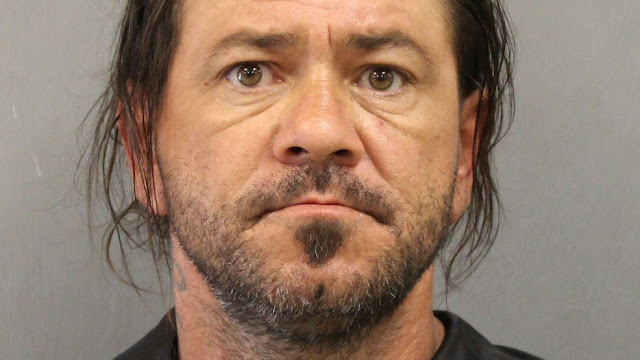 Fogle didn’t stop, however, but increased his speed to about 104 mph and continued eastbound on I-20 before exiting at the rest area on I-20 between US 601 and US 521. He was ultimately taken into custody coming out of the rest rooms at the rest area. Fogle was carrying several knives and a set of brass knuckles when arrest, according to Matthews. 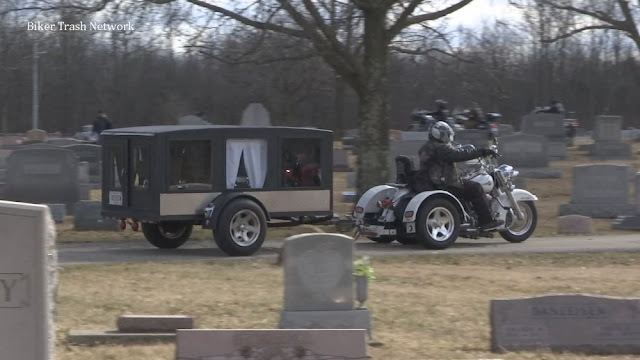 He was wearing “Warlocks” colors when arrested and investigators are currently attempting to determine if he is a validated “Warlocks” outlaw motorcycle club member. Fogle has an extensive criminal history and has been arrested in the past for multiple DUI’s, multiple simple assault and battery offenses, multiple offenses of assault and battery of a high and aggravated nature, disorderly conduct, violation of probation, accessory after the fact of a felony, multiple offenses for marijuana possession, multiple offenses for driving under suspension, contempt of circuit court, contempt of family court, possession of cocaine/meth, reckless driving, multiple offense for failure to stop for a blue light, possession of a firearm by convicted violent felon and speeding more than 25mph over limit. Fogle is now facing charges of speeding 104 in a 70, habitual offender, DUS 3rd offense and failure to stop for a blue light (3rd offense). He is currently being detained at the Kershaw County Detention Center awaiting a bond hearing.